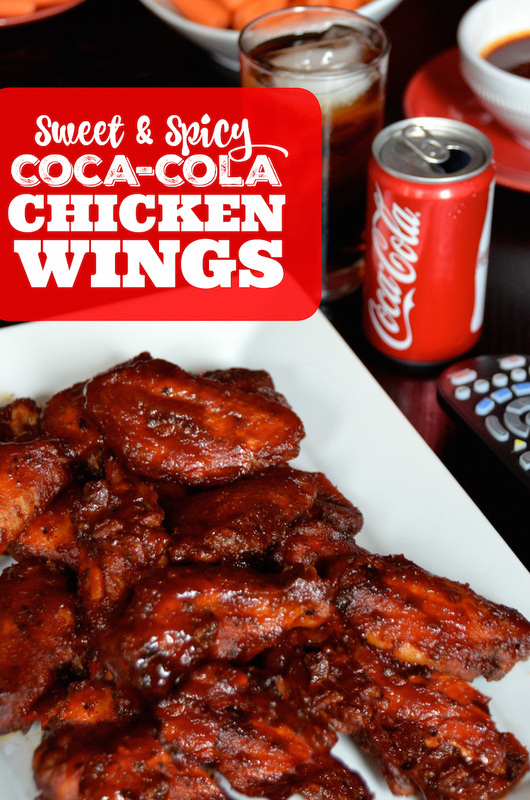 And if you come across a recipe that's sweet AND spicy, like these easy Coca-Cola Chicken Wings? TOTAL WIN! 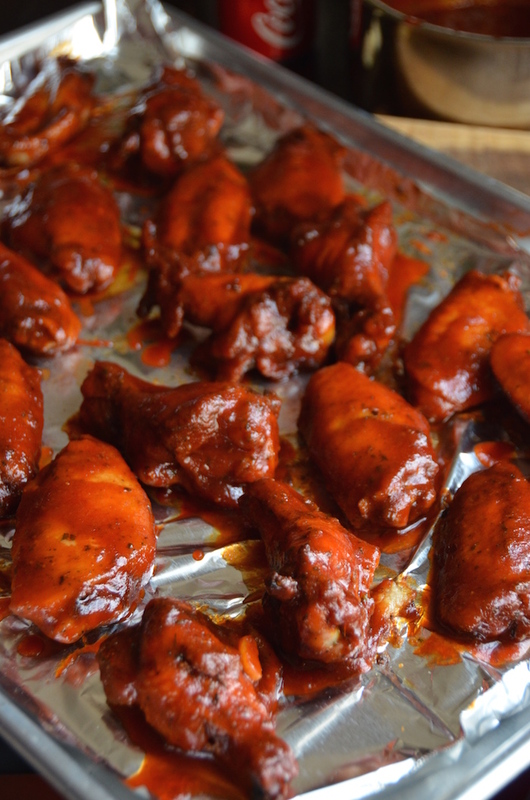 Homemade chicken wings are one of my favorite party foods to serve at any time of year. They're perfect for game-day parties, obviously, but I also love them for birthday parties and casual weekend get-togethers. The apartment building we live in even served them up at last year's annual Christmas tree decorating party, and people were so excited! I think the trick to serving chicken wings for a crowd is to bake them. Fried wings are amazing, but babysitting a fryer is no fun when you'd rather hang with your guests. Baked wings can be baked until crunchy in advance (even a few days! ), and then tossed with a sauce (which can also be made in advance!) and reheated for just a few minutes before serving. So easy because the oven does all the work, while you can work on other dishes, or just relax and enjoy time with your friends and family. 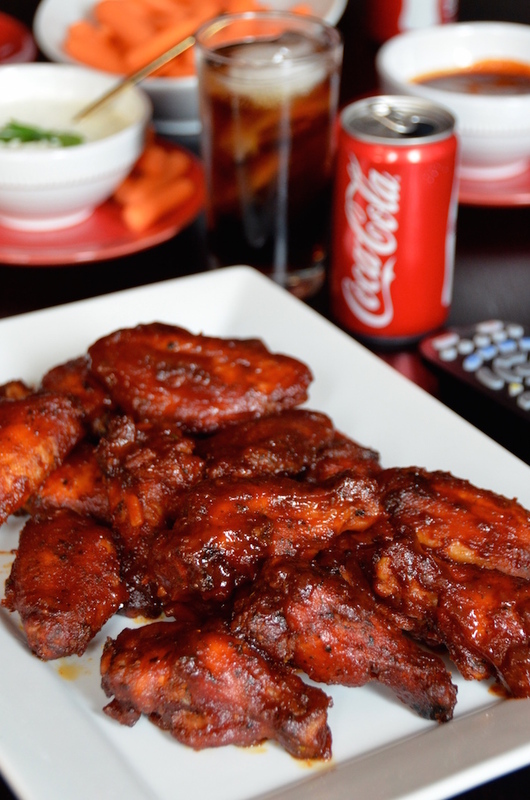 The thing that makes these so good is the AMAZING homemade Coca-Cola BBQ sauce. It’s got the perfect mix of sweetness and spice with a hint of Coca-Cola flavor that everyone loves. I'm actually going to recommend that you double or maybe even triple it, because it's not just good on wings. I love this with any kind of chicken (baked, grilled, fried! ), over meatballs (BBQ meatballs! ), and even with shrimp. Make a big batch, divide into containers and pop it into the freezer. You'll thank me later. And don't think that the amazingness means it's hard. 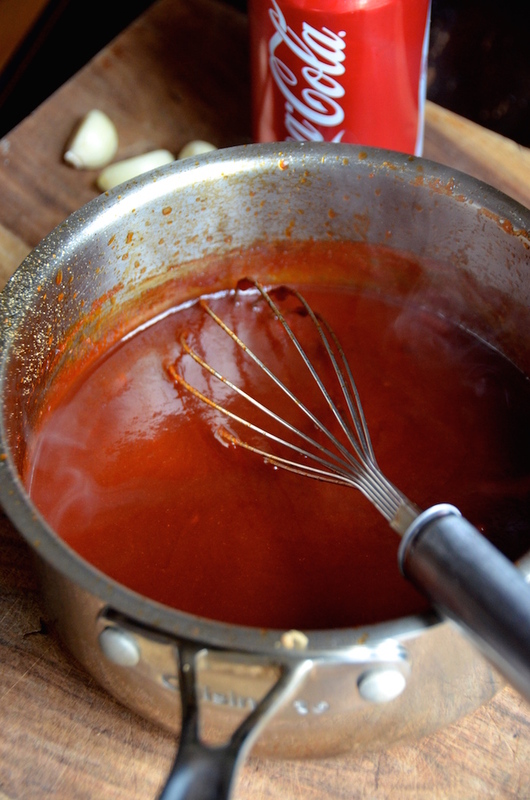 This sauce is crazy easy. A few ingredients in a pot for about 5-10 minutes of simmering, and boom! All done! This is my new go-to homemade chicken wing recipe. I hope it becomes yours, too! Disclosure: This post was sponsored by Coca-Cola. All recipes and opinions are strictly my own. 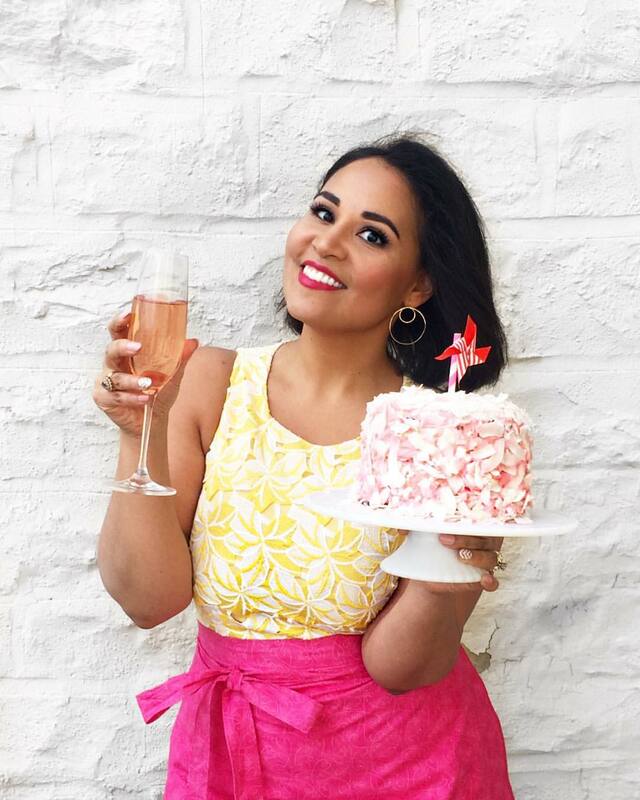 You can also visit the Coca-Cola Pinterest Page for more entertaining tips, party inspiration, and ideas. Thank you for supporting great brands that make it possible for me to create fresh new content for you!